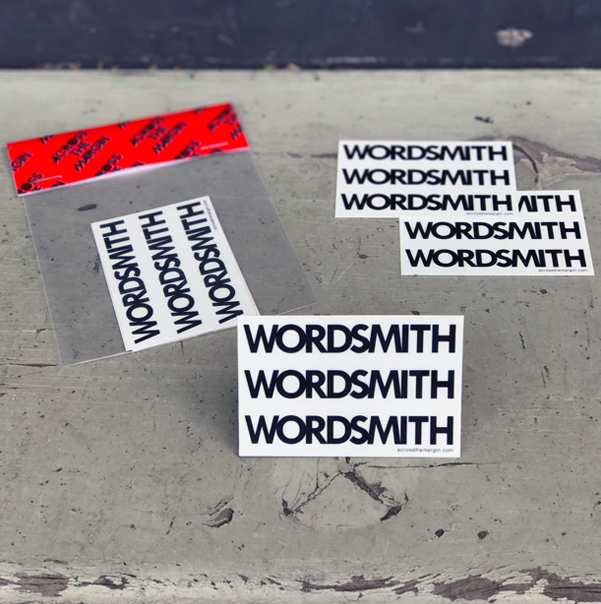 In celebration of all the bold writers & wordsmiths out there in the world we’ve teamed up with StickerMule to create these high-quality WORDSMITH stickers for you to slap all over the place! These custom rectangle stickers come in a pack of 3 and measure 3 in. x 2 in. and have sharp corners that are perfectly cut. They’re made from a durable vinyl with a high-quality laminate that protects your stickers from scratching, rain and sunlight, preserving your message that you are the baddest writer in town!